During the Tokyo Game Show 2018 event, Bandai Namco announced the fourth paid addition. In this, for a third-person shooter include Sword Art Online elements: Fatal Bullet with JRPG. The new DLC is called “Dissonance of the Nexus”, and it will be dedicated to the character Sati. It is worth noting that the developers initially planned to release three add-ons. All of them are included in the season pass and Deluxe edition. Unfortunately, the developers did not specify whether the upcoming DLC will be sold separately or whether it will be free to all seasonal owners. 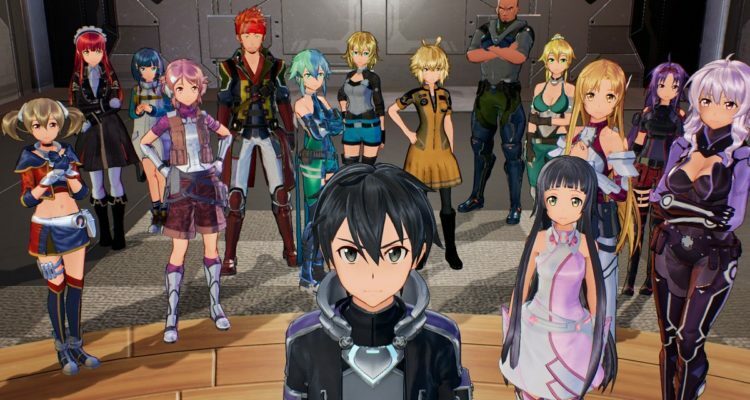 In addition, Bandai Namco has announced that Sword Art Online: Hollow Realization and Sword Art Online: Fatal Bullet will appear on the Nintendo Switch with all the extras. In the fifth anniversary at the Tokyo Game Show 2018, Bandai Nyamki showed a trailer linked to the triumph. At the same time announced the fourth major addition to Sword Art Online: Fatal Bullet called Dissonance of the Nexus. Moreover, Fatal Bullet itself will receive the Complete Edition, containing all existing extensions, including Dissonance of the Nexus. Hollow Realization and Fatal Bullet is going to visit the Switch. The first game will contain the content of the deluxe version, and the second will be the aforementioned Complete Edition. However, Sword Art Online: Lost Song will be released on PC.